Login to your SEE tickets account and your tickets will be waiting for you in there. An email should arrive in your inbox containing your tickets. You WILL need to show your tickets at the door so we can scan them. Nope, as long as you’ve got it on your phone to flash you’ll be able to get in. Rain Schmain! Pop Up Screens is an outdoor cinema and we operate in the British summer so it could well snow! As we’re outdoors if it rains the show will continue so please do come prepared. If it does rain everyone will get a free poncho. Wind on the other hand, that’s bad news. We can safely operate in wind of up to 24mph after that it gets a bit dicey. If gusts of over 24mph are predicted by the met office in the postcode we’re operating in during the course of a screening then we would be forced to cancel. In extreme weather conditions such as that, or if we deem it too be dangerous to continue, then screening maybe canceled, but it will ONLY happen in extreme cases and you will be notified before the screening takes place. Yes you can! Just let us know what you’ve bought and what you want to transfer to and we’ll sort it out for you. The more the merrier! If there’s a group of you coming (10+) get in touch and we’ll do you a discount on the ticket price. Please remember though we are primarily a cinema and everyone is there to watch the movie, so it probably isn’t the best of environments to have a celebration if all your party aren’t overly interested in the film. Children are more than welcome, but please remember all the films carry certificates so we can’t let a 5 year old in to watch Fight Club no matter how little they’ll speak about Fight Club. If you’ve got a baby you want to bring you can. If they’re under 4, and more likely to sleep through the film than watch it, then they don’t need to pay for a ticket. Sorry, but we only issue refunds on tickets if we cancel the screenings. What we can do though is swap your tickets for another screening so you don’t miss out. We have all the mod cons! There are toilets at all the screenings including facilities for disabled guests. We don’t interrupt the movies with an intermission. There is food, drink and popcorn on sale throughout the movie though and all the stalls face the screen so you won’t miss anything. CAN I STILL GET TICKETS TO SOLD OUT MOVIES? Yes and no! Once the tickets are sold out online, they’re all gone… but we do keep a limited number for the door so if you’re desperate to come/haven’t been organised enough/didn’t know about the screenings if you arrive early you can still get in. There are tickets available on the door for the stragglers. It’s worth bringing something warm to wear as even the hottest of days do cool in the evening. We appreciate any kind of gifts, but other than that there are only three Pop Up Screens essentials you need: (1) Something to sit on. (2) Something warm just in case. (3) Some good will as occasionally technology plays silly buggers with us, but we always get back on track. Other things that could be handy are torches, lanterns, socks or a waterproof. We are in public parks, so there isn’t any dedicated parking. When we choose our locations we always look for parks within walking distance of tube or train station so we recommend using that. Our VIP tickets come with chairs. There will not be any other available chairs through us. As far as what you can bring to sit on we’d recommend blankets or camping chairs, but if you can carry it, then you can bring it! The screenings at Guildhall will have seating included in your ticket price. It may seem like a brilliant idea but unfortunately it’s a no to tents. We normally have a limited amount of space and once a tent is up it leaves all the space behind it dead for miles. CAN I BRING MY SUPER CUTE DOG? Sorry but dogs (unless they’re a guide dog or hearing dog) aren’t allowed at the screenings. Please don’t send us pictures of cute dogs asking if they can come, we’re weak and will buckle! All the parks are wheelchair accessible. If you have any additional needs then please get in touch and let us know how we can help you. When we’re indoors as we use quite unique locations there are sometimes issues with wheelchair access. Please contact us if you have any questions. We can only start projecting once the sun goes down, so we’re entirely dependent on the mood of the big ball of fire in the sky as to when we can start. Our screening start times range from 7pm to 9.15pm. We do open earlier so you can come and enjoy the park, catch up with your mates and enjoy a drink or two before the movie starts. A VIP ticket means you get a chair and a drink included in your ticket price. You’ll be given the chair as you enter so you can sit anywhere you like, so if not everyone in your group has booked VIP tickets you’ll still be able to sit together. We’ve got a decent bar selling beer, wine and cider and a few special surprises that take our fancy. On the food front we always bring a fantastic caterer with us, but they change week to week so check on the movie page to see who will be with us for the movie you’re coming to. 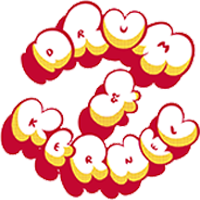 A movie isn’t a movie unless you’ve got popcorn and we may have the best popcorn we’ve ever tasted, it’s genuinely lovely, coming from Drum & Kernel Popcorn. Sorry, but no BBQs. Open flames scare health and safety people. I’M A VEGETARIAN, IS THERE FOOD FOR ME? Yes! Our caterers always provide a veggie option. Yes you can, just give us a shout on hello@popupscreens.co.uk and we’ll do our best to help you out. DO YOU DO CARER TICKETS? If you’re the registered carer for someone attending one of our screenings please contact us with the ticket number for the full price ticket and we’ll issue you a free ticket. It’s not so much an FAQ as a good rule for life, please be nice. Please be considerate of those around you as we are primarily a cinema so everyone is there to watch the movie.